Packed with superb features, this versatile 4 slice toaster from Sage by Heston Blumenthal will make breakfast effortless every time. Thanks to the handy Lift and Look function, you can check on your toast without cancelling the cycle. There’s also a special bagel setting which just warms the cut side, for perfect results. Whatever you’d like to eat, the LED progress indicator tells you exactly how long you’ll have to wait. And, if you decide you want to brown it for a little longer, just press the A Bit More button to add extra toasting time. This thing is brilliant. The "little bit more" function makes you wonder why this has not been a feature for ages. The ability to take a look at the toast without starting again is just as clever. It looks great and I would highly recommend. Perfect toast at last ! Im pretty fussy as to how my toast is done and have been trough a few toasters each one seeming to get worse. The last Kenwood one i had was awful, it went from warm bread to over done, there was no in between and also did nt toast evenly. This toaster is well made and because it has a separate setting for crumpets and frozen bread the browning setting really allows for fine tuning. The net result perfect evenly toasted golden toast every time. Wish i had bought one ages ago, i can at last enjoy toast the way i like it rather then enduring toast i dont like. 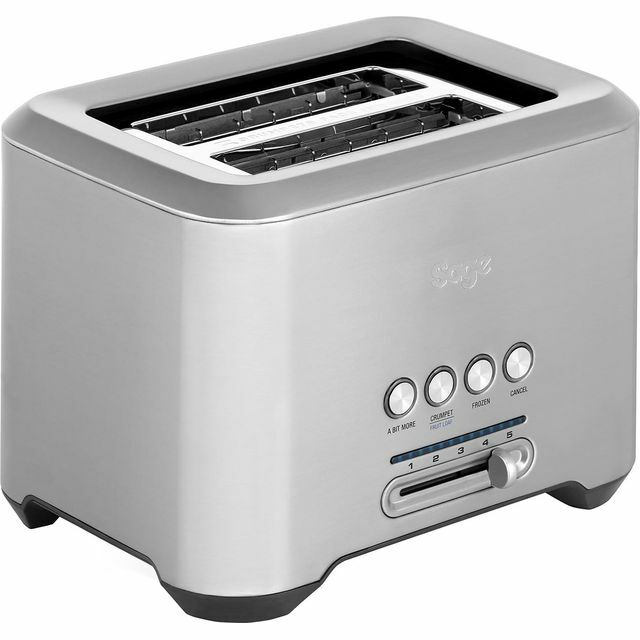 Yeah its a little pricey for a toaster but like everything else i have by sage it just works perfectly and effortlessly. It's very sleek easy to use easy to clean and also does what it says it does! 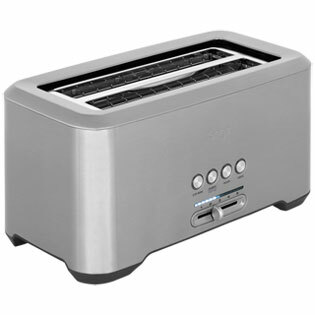 Sleek and stylish would look great in any kitchen all digital so you get the perfect toast every time great addition to any kitchen would definitely recommend.